When should you buy a ticket? Everybody wants to know what the best time is to buy your ticket. Momondo - a Danish online travel agency - claims to know it. You should book tickets for intra-European flights about 1 month prior to departure because then fares are 38% cheaper compared to the most expensive moment. Dutch travelers, who fly to a destination outside Europe, should book 5 months out to enjoy a potential benefit of 37%. The day on which you depart also affects the ticket price. Flights from the Netherlands to European cities are on average the cheapest on Fridays. 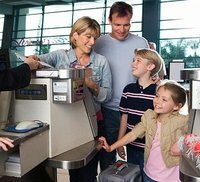 For long haul flights, the potential benefit is up to 36% by departing on Sundays rather than Saturdays. Another factor that may affect the ticket price is the time of the day. European flights departing early in the afternoon are the cheapest. Flying in the morning - between 04:00 and 12:00 noon - is on average up to 32% more expensive. For tickets to non-European destinations it is the other way round. The average price for those flights is €424 ($480), whereas the price of morning flights on average amounts to €595 ($673) or 40% more. Momondo claims that their annual flight study is based on an (undisclosed) number of searches between December 1, 2017 and September 24, 2018. They searched for roundtrips in economy class. 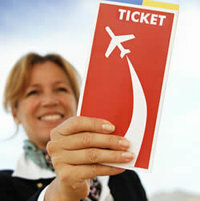 They also claim that their study allows you to find out which moments are the best for booking and departure. However, this seems more an advertisement than a tool that you can really use. We take the results of momondo's annual flight study with more than 1 grain of salt. When we try it out and search for a roundtrip, momondo just refers to another site. This presents combinations of the outbound and inbound flights. Thus, you cannot select an outbound flight, save it and search next for an inbound flight. This is awkward and makes searching for a roundtrip very time consuming and obscure. We also compare the fare with the price on the airline's own website. This appears to be lower than offered on momondo's partner site! It seems better to start checking fares from the moment you know when and where you are going to fly. This way you will become familiar with the market on your travel dates. If you see a good deal, pull the trigger. Related: "Is there a best date to purchase a ticket?"